Back in 2004 I read a book that changed my entire perspective on life. Seriously, this book was that instrumental in reshaping my worldview. I'm talking about the best-seller and ageless investor mindset classic: Rich-Dad, Poor Dad by Robert Kiyosaki. If you've not read this book yet, and want to have your mind blown, then you need to get your own copy and devour it. Read it like twice at least until the mindset kicks in. I was three years into my teaching profession when I read the book, turning 27, and instead of feeling secure in my job, I felt more naked than ever. But not just this, the book also made me hungry. It made me want to mimic the simple "asset" building concepts for myself, and to this day, I have not stopped. Now I'm a "millionaire next door," on the way to even more wealth. I then decided to that I needed to better understand the concepts laid out by Mr. Kiyosaki. I found people playing his board game, Cashflow 101. I can tell you that although you may have internalized the information in the book, playing the game itself raises your understanding to a whole new level. You quickly start to realize that there is more to this asset building lifestyle, by making mistakes you can learn from without real costs, of course. This game, like the book, equally changed my life. That is why I am highly suggesting that you get it and play it, if you're serious about leaving the "Rat-Race" for good. If you are interested in purchasing the book or the game board, please see my left sidebar for quick links. Thanks for the support and Happy Valentines Day! Get this game for you and your significant other and grow together. The Board Game USA Today Calls "Monopoly on Steroids". It's Time to Get Out of the Rat Race. What's your dream? Freedom of time? Unlimited resources to travel the world? Whatever it may be, CASHFLOW 101 teaches you how to get out of the Rat Race and onto the Fast Track, how to make your money work for you Ð not the other way around. 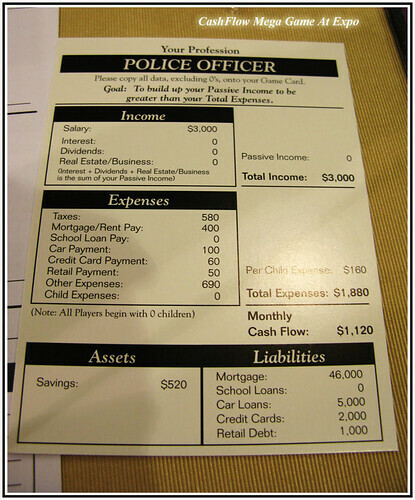 CASHFLOW 101 is an educational board game that simulates real life financial strategies and situations. As a simulation, you learn valuable lessons and gain priceless insights into personal finance and investing without having to put your actual money at risk. Developed by Robert Kiyosaki, author of the #1 personal finance book of all time, Rich Dad Poor Dad, CASHFLOW 101 is the ultimate realization of Robert's vision of an interactive tool for financial education, and the fulfillment of his belief that we learn best by doing. Practice real world investing with play moneyLearn the differences between an asset and a liabilityDiscover the power of understanding your personal financial statementPlan your strategy with Opportunity Cards that include Big and Small DealsChoose your dream, learn the secrets of the rich, and get on the financial fast track. CASHFLOW 101 is an educational board game that teaches accounting, finance, and investing at the same time - and makes learning fun! 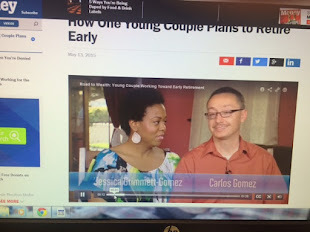 CASHFLOW 101 is recommended for ages 14 and up. If you are thinking this is a game like Monopoly, where you sit down with the family and clown around for a little while, it is far too expensive for that. You will be disappointed. Also, so far as games go there is a lot of number crunching (mostly easy math but quite a bit of it) so a considerable portion of your time is re-calculating your expenses and income. If you view it like a fun little game you will think it is a total rip off. It is actually a financial simulation and in my opinion really helps you understand money better. It follows real life pretty well (not great.) It needs a few tweaks considering the date it was designed for and the fact that we might not know how to perceive if an opportunity is really as good as it appears. Opportunities and jobs these days are much more difficult to come by, but it is still very practical considering most people's comprehension of money. Replay value is pretty good. I found myself waking up in the middle of the night saying "if I did this, then it would change that," and then I would want to play again to see if I could get it to work. All in all I think it is a pretty good product and much more practical than just another book or seminar on finances because it is very hands on. It lets you understand what is going on considerably better than nodding your head as you skim chapters with fancy titles.